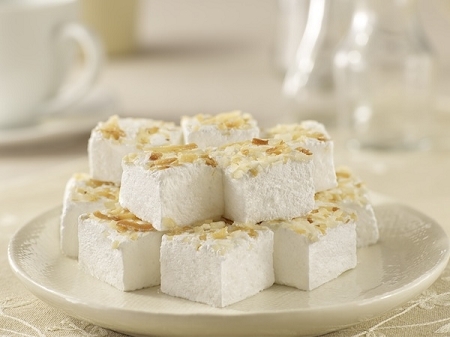 One taste of this mouth-watering sweet coconut fluff and you'll feel like you're on a tropical island. 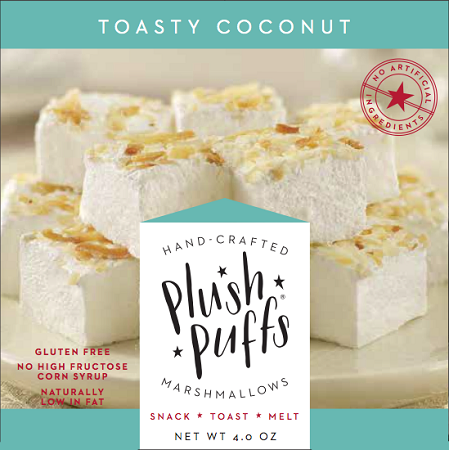 Using only natural extracts and real shaved coconut, our Toasty Coconut puff is a favorite amongst coconut lovers. Try slightly roasted and wrapped in dark chocolate for a taste of heaven! 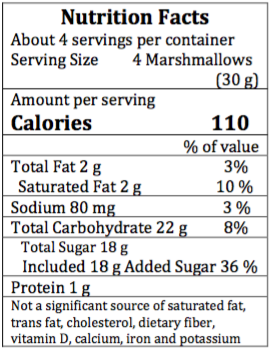 INGREDIENTS: CANE SUGAR, INVERT SUGAR, WATER, BROWN RICE SYRUP, DRIED COCONUT, COCONUT CREAM POWDER (COCONUT, MALTODEXTRIN, SODIUM CASEINATE [MILK]), GELATIN, RICE STARCH, NATURAL COCONUT FLAVOR, SALT AND CORN STARCH. ALLERGEN: SOY, DAIRY, TREE NUTS, CORN. This product is manufactured in a facility that processes milk, wheat, soy, peanuts, and tree nuts.